Attention Deficit Hyperactivity Disorder (ADHD): VYVANSE is indicated for the treatment of Attention Deficit Hyperactivity Disorder (ADHD). Treatment should be commenced by a specialist. A diagnosis of Attention Deficit Hyperactivity Disorder (ADHD) implies the presence of hyperactive-impulsive or inattentive symptoms that caused impairment and were present before 12 years of age.,Need for comprehensive treatment programme: VYVANSE is indicated as an integral part of a total treatment program for ADHD that may include other measures (psychological, educational and social) for patients with this syndrome. Stimulants are not intended for use in the patient who exhibits symptoms secondary to environmental factors and/or other primary psychiatric disorders, including psychosis. Appropriate educational placement is essential and psychosocial intervention is often helpful. 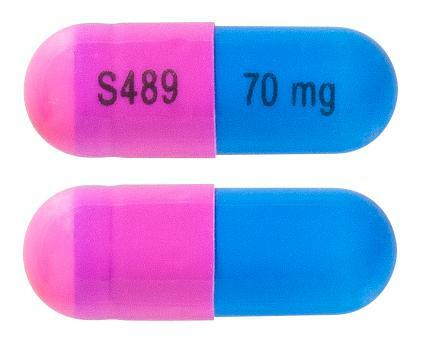 When remedial measures alone are insufficient, the decision to prescribe stimulant medication will depend upon the physicians assessment of the chronicity and severity of the patients symptoms.,Long term use: The physician who elects to use VYVANSE for extended periods should periodically re-evaluate the long-term usefulness of the drug for the individual patient.,Binge Eating Disorder (BED): VYVANSE is indicated for the treatment of moderate to severe BED in adults when nonpharmacological treatment is unsuccessful or unavailable. Treatment should be commenced and managed by a psychiatrist.,Need for comprehensive treatment programme: VYVANSE is indicated as part of a total treatment program for BED that optimally includes other measures (nutritional, psychological, and medical) for patients with this disorder. 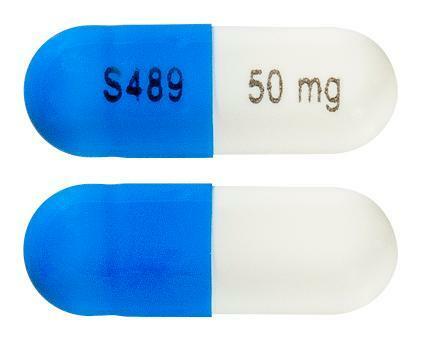 When remedial measures including psychotherapy are insufficient, the decision to prescribe stimulant medication will depend upon the physicians assessment of the chronicity and severity of the patients symptoms.,Limitation of Use: VYVANSE is not indicated or recommended for weight loss. Use of other sympathomimetic drugs for weight loss has been associated with serious cardiovascular adverse events. The safety and effectiveness of VYVANSE for the treatment of obesity have not been established. Prescribers should consider that serious cardiovascular events have been reported with this class of sympathomimetic drugs. The BED clinical trials were not designed to assess cardiovascular safety. While there is an accumulation of safety data with VYVANSE use in the ADHD population, this is of limited relevance regarding cardiovascular risk in the BED population. Given the higher cardiovascular risk associated with obesity, the BED population may be at a higher risk. See Sections 4.4 SPECIAL WARNINGS AND PRECAUTIONS FOR USE, Cardiovascular Disease and 4.2 DOSE AND METHOD OF ADMINISTRATION.,Long term use: For BED the initial treatment period is 12 weeks. Patients should then be observed to assess whether further treatment with VYVANSE is required. Periodic re-evaluation of the usefulness of VYVANSE for the individual patient should be undertaken. See Section 5.1 PHARMACODYNAMIC PROPERTIES, Clinical Trials.